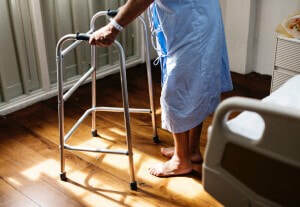 Studies indicate the majority of hospital staff are not trained to provide specialized care for people with dementia. Second Wind Dreams® offers the first Virtual Dementia Tour, specifically created for hospitals. Simulation training is conducted in your hospital or Emergency Department for all staff by certified Virtual Dementia Tour trainers. Practical suggestions specific for dementia care. Comprehensive debrief of the experience facilitated by Certified Trainers.